Free game tickets when you donate to the Western Bureau County Food Pantry. Paper & Soap Products preferred. 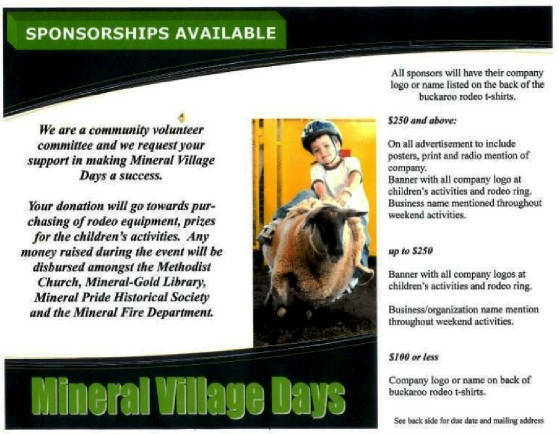 Welcome to the Mineral Village Days official website! We hope that you will join us on a grand celebration of small town America in the midwest. Mineral is a small village in numbers (population 275) but quite large on town pride and heart! On this site you'll find information about activities we have planned for our special two day annual celebration. We hope you will find all of the information you are looking for regarding our planned celebration.